One thing is sending out invitations to your friends to come to your party. Another is having them arrive at the venue successfully. On several occasions, the turn out of guests at a party may become surprisingly low. The fact is that your invited guests would have loved to attend your party, but they may prefer staying back. The decision to stay back can result from the fact they cannot afford to travel the long distance for a party. One of the major reasons, of course, is not having a reliable transport system, which can handle conveyance without problems. Due to past experiences, some guests wouldn’t want their friends to drive them to a party, because of safety. Are you planning to have a big party and you want all your invited guests present? Hiring a party bus in Philadelphia can ensure that many challenges regarding traveling from one location to another are resolved. The reason is that there are benefits that are attachable to hiring a Philadelphia party bus. Here is a highlight of some of the benefits. 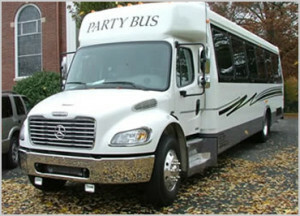 Booking Philadelphia party bus can help you reduce the cost of travel expenses, including those of your invited guest. The fact is that traveling requires you to pay for tolls, parking, gas, and snacks on few occasions. Therefore, hiring a party bus in Philadelphia can make your party ceremony more fun. Interestingly, you can expect all your bookings to cover travelling expenses. In this case, your invited guests will have no excuse for not being present at your party. Inasmuch as you are hosting a party, there is the possibility that some invited participants might be heading home drunk. Since driving requires apt attention to traffic signs, a drunk may not be able to recognize the warning signs. Drinking, no doubt, is an inevitable activity at parties. Therefore, you can take the responsibility of keeping your guests safe, courtesy of the service of professionally trained chauffeurs. With hiring a party bus in Philadelphia, you rest assured that the safety of your guests is under guarantee. Your guests shouldn’t have any reason to miss every bit of fun at your party. 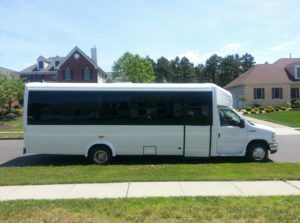 The party bus Philadelphia can get your guests, in large numbers, into arriving your party on time. There are several party buses with large passenger capacity with which you can choose from. In a single file, you rest assured of having all your guest present at your party event, leaving no one out. Perhaps, you are planning to have your party at a farther distance. You can make transportation available for your guests with easy bookings with the Philadelphia party bus. The fact is that you can have your party event well-planned out with a reliable transportation service.